Many speakers that rely on DSP offer similar features, but this one also has an on-board 12-band anti-feedback system that automatically seeks out feedback and then applies narrow notches to problem frequencies. 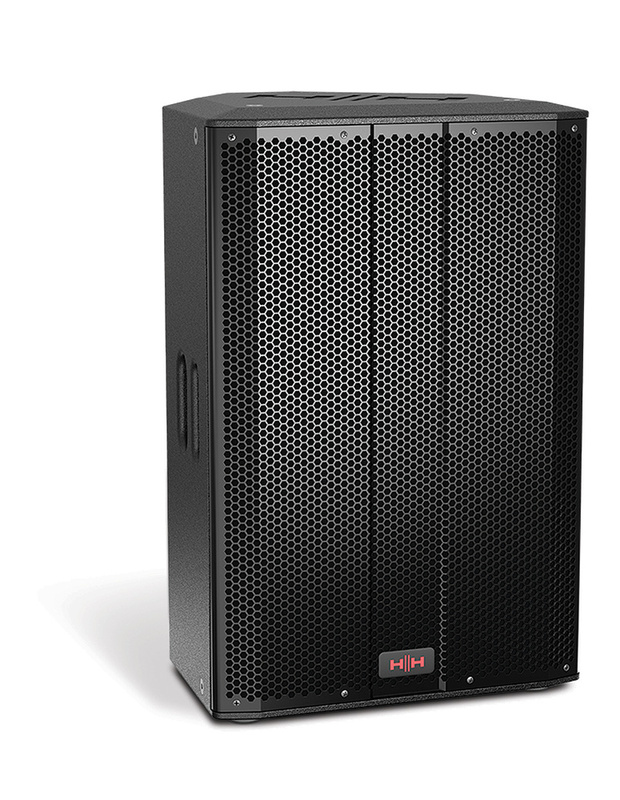 Class-D amplification, cooled by convection rather than a fan, can summon up to a total of 2.6kW of peak power, providing plenty of headroom, but what really makes or breaks a PA speaker is the quality of the drivers. This model incorporates a long-throw, high-sensitivity bass/mid driver in a ported enclosure and a 1.4-inch compression driver feeding a horn, both built by Celestion (TF1525 and CDX1 respectively), delivering an impressive 133dB maximum SPL at one metre. 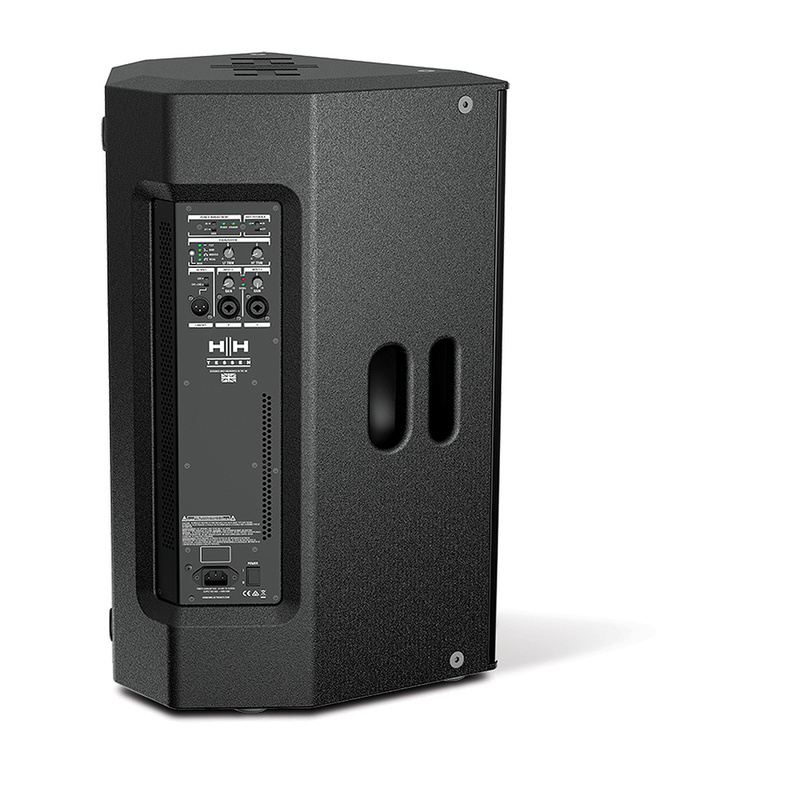 While the speakers can be used with one or more subs in larger systems, they can manage a 40Hz to 20kHz frequency response on their own. Their directivity is asymmetrical, being 90 degrees in the horizontal plane and 60 in the vertical, which helps put the sound where you need it. Despite their impressive acoustic power output, the speakers weigh only 22.7kg each, partly thanks to the use of switch-mode power supplies and Class-D amplifiers. The overall size of the speaker is a practical 684 x 448 x 388mm. 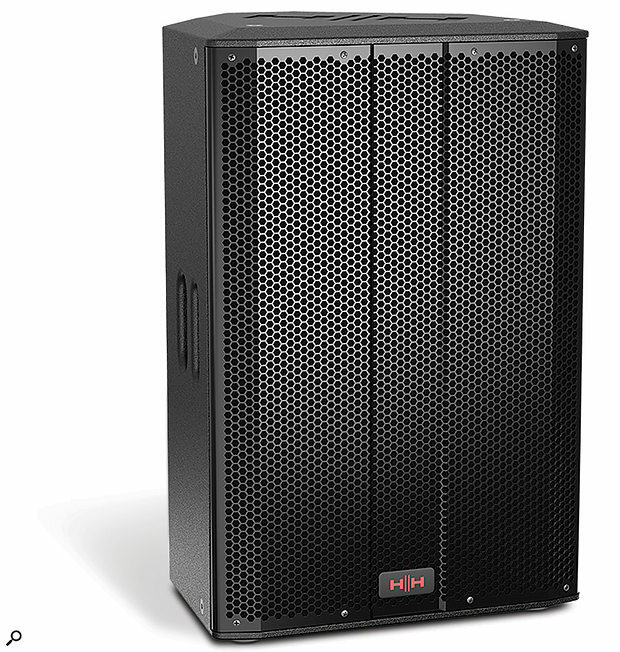 The rear panel houses two line-level inputs, and controls for the built-in DSP.Around the back of the cabinet is the input panel, where a pair of ‘combi’ XLR/jack inputs accepts balanced or unbalanced line-level signals. The manual doesn’t cover their use as as mic inputs but you can still get a mic to work through them as long as you don’t need huge amounts of volume. There is also a balanced XLR output for linking to other speaker systems; the output can be switched to carry either channel 1 only or a mix of both channels. Each input has its own gain control, and global LF and HF trim knobs adjust the overall EQ, providing a quick way to deal with muddy or boomy rooms. A clip LED indicates that the amplifier’s protection limiter has been activated (ie. when the system is approaching its maximum power handling), but under normal circumstances no actual clipping should occur, as the limiter will kick in first. For this type of speaker the most obvious alternatives are probably QSC, RCF, HK, LD and JBL. Plenty of clean power for the price. Tonally flexible due to in-built EQ. The control knobs could be better protected. 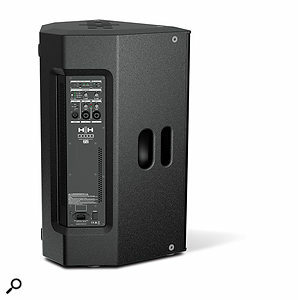 A tough, good-sounding speaker with a high maximum SPL at a sensible price. £749 per speaker including VAT. £749 per speaker (approximately $717 at time of going to press).